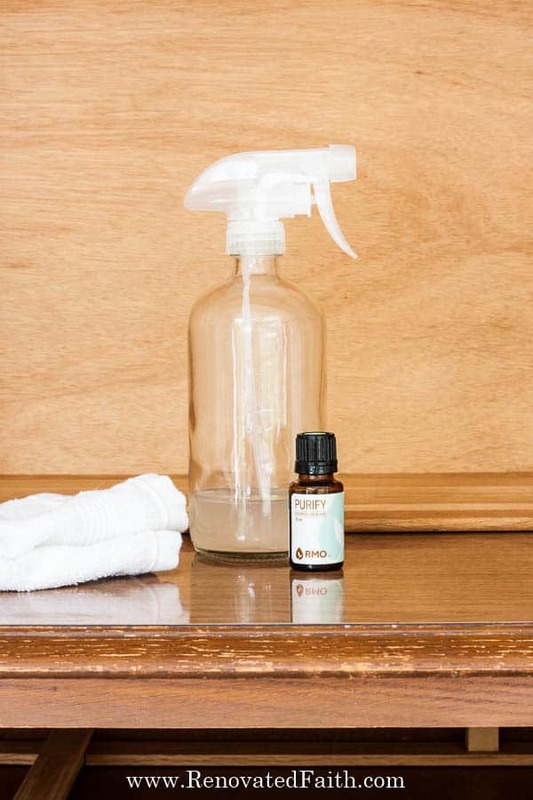 Whether you need to remove the smell of cigarette smoke or that musty, moldy smell of old furniture, you don’t want to just mask the odor but you need a simple solution that disinfects in order to deodorize. 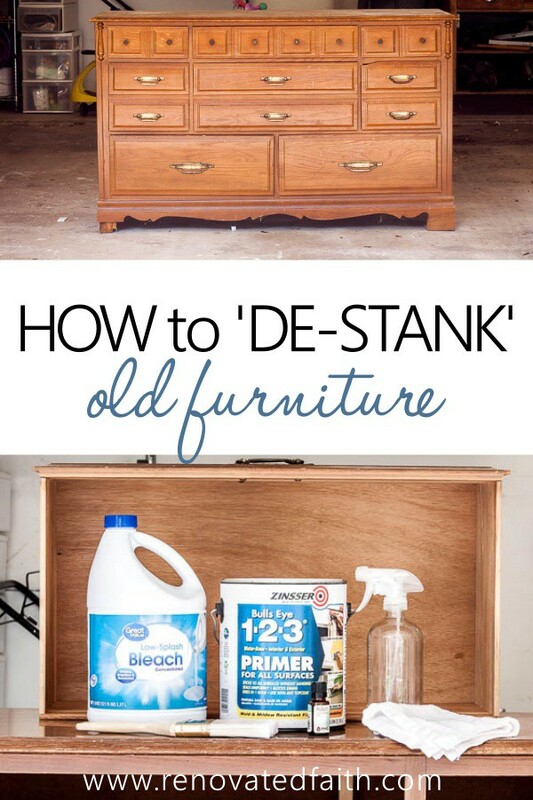 If you are struggling to remove a horrible odor from old furniture, here are some fail-proof solutions to get any smell out of furniture for good! I love it when readers ask me questions about their diy projects!!! When I see a question more than a few times, I make a mental note that I need to write a blog post about that topic. That was definitely the case for removing stinky smells from furniture. 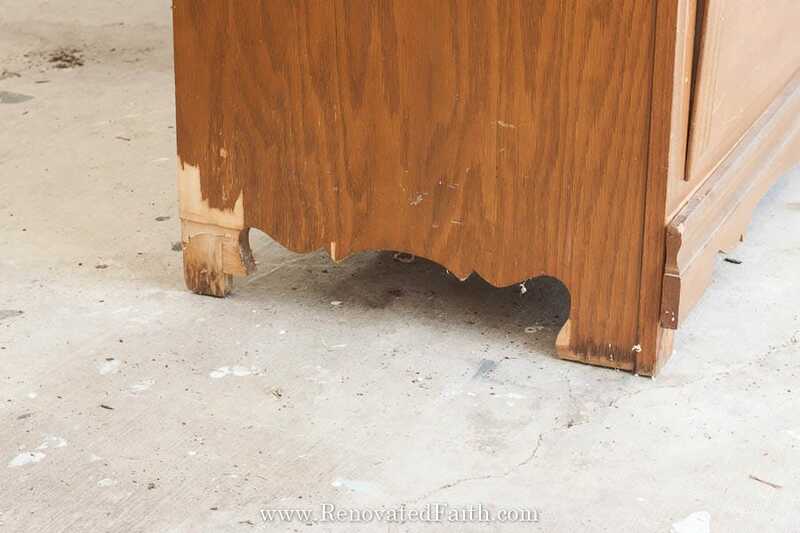 Whether it’s removing that old, musty, moldy smell or cigarette odor, apparently several furniture rehabbers are having the same problem. Fortunately, I’ve found some simple solutions that work on the vast majority of smells. I saw her on Facebook Marketplace and kept eyeing those cute little drawers that I could add card catalog style hardware too! Right as I was about to type “I want it” in the comment section, it came up as “SOLD”. To my surprise, the next day she was listed again but for $80 instead of $90! You’d think I would have caught on at that point, but unfortunately , I didn’t. Normally, I like to look at every square inch of a furniture piece before committing to buy. I inspect the legs, open and close every door and check the structure so I know what I’m getting myself into. However, this time was a little different. One Friday, we planned to meet the seller at their storage facility when Jeremy got off work. My daughter Morgan and I planned on meeting him there. So, I sat in the garage and put on my shoes as Morgan got in the car. After about 10 minutes into our drive, I was a little shocked to feel something move INSIDE MY SHOE. “No, that’s just my imagination”, I thought. While still driving, I kicked off my right shoe to find a huge tree frog! It hopped around in the floorboard as I tried to drive. Morgan and I were both screaming as it jumped back and forth between the seats. I managed to pull over and we tried to get our new little friend out of the car. However, he kept hopping around until he hopped deep under one of the back seats. We got home to find that the dresser had an insane amount of damage. One of the drawers had a huge chip and there was significant water damage along the bottom. But that wasn’t all…it had a horrible stank that made our entire garage smell like stale cigarettes, old socks and garbage all packaged into one pungent aroma. The dress was quite a “treat” the the senses. Fortunately, I have a lot of experience with stinky furniture finds. The fact that it had water damage gave me a clue as to why the dresser smelled so stinkin’ bad! Many smells are caused by mold and mildew. If it was exposed to water for a time, there’s a good chance that was at least one source of the smell. If you want to know how to get rid of wet wood smell, you have to kill any potential mold or mildew first. 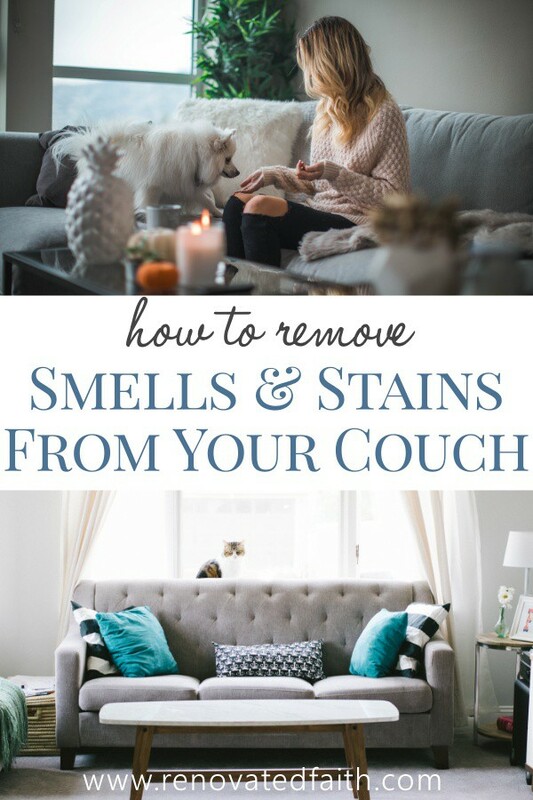 Odors can be from mold, mildew, chemicals and bacteria so you don’t want to just cover up the odor to get the smell out of furniture. Imagine trying to spray rose-scented room deodorizer into a dumpster. It’s just going to make it even worse. When my daughter caught C Diff. after her tonsillectomy (it was horrible), we had to make sure the C Diff. didn’t spread. Therefore, I did a lot of research on the best disinfectants. It turns out the most powerful disinfectant in the world is already in your home. When it comes to killing super bugs or even the common cold, a 1 to 10 solution of bleach to water will be your best bet every single time! The key is letting the surface stay wet with diluted bleach for 30 minutes so that it can kill every single germ and mold spore on the surface. The nice thing about this ratio is that the bleach is not concentrated enough to discolor your furniture. Sometimes it’s more of a matter of just disinfecting. 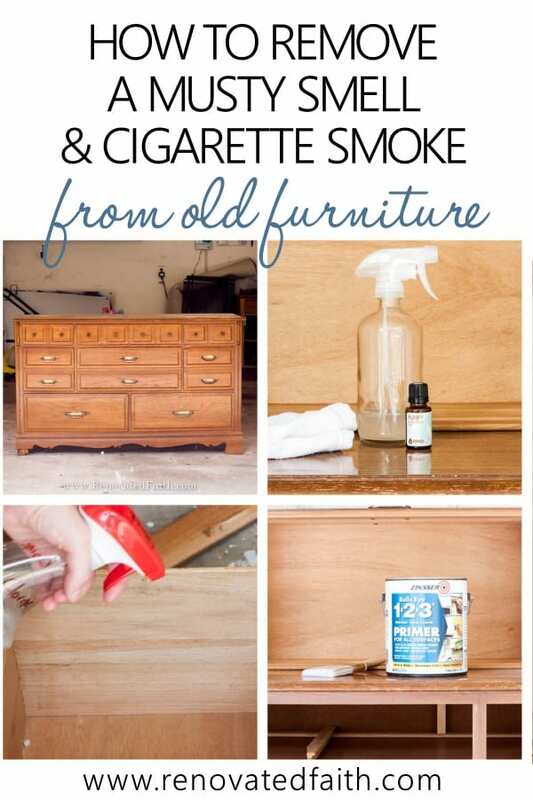 Some chemicals, like those from cigarettes, permeate the wood grain and fabric of furniture. Those chemicals have to be neutralized and they can be successfully with essential oils. We’ll discuss below which blend of essential oils is best for removing the smell of cigarette smoke. Some affiliate links may be used in the post at no additional charge to you. See my disclosure here. Rocky Mountain Purity Essential Oil – Check the current price here. Zinsser Bullseye 123 Primer – It comes in gray or white. Check the current price here. Step 1: Spray with bleach solution. 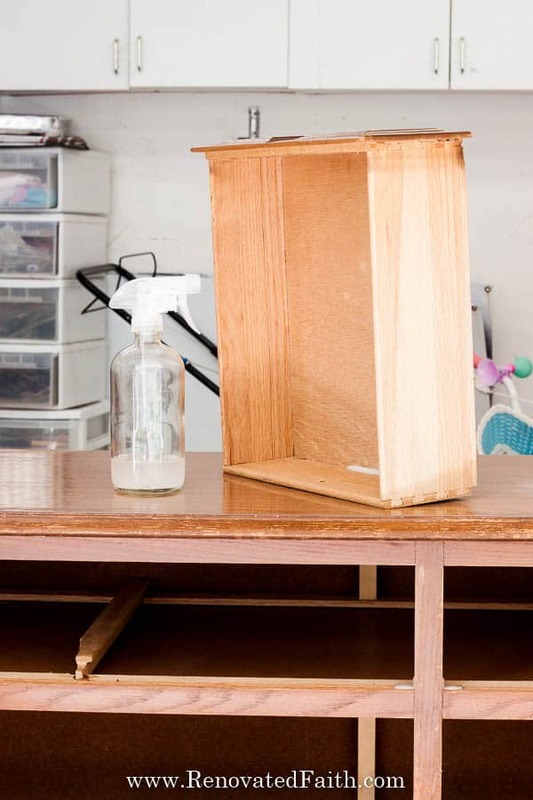 Some people will use baking powder or vinegar but if you want to really deodorize wood, you have to get out the big guns. 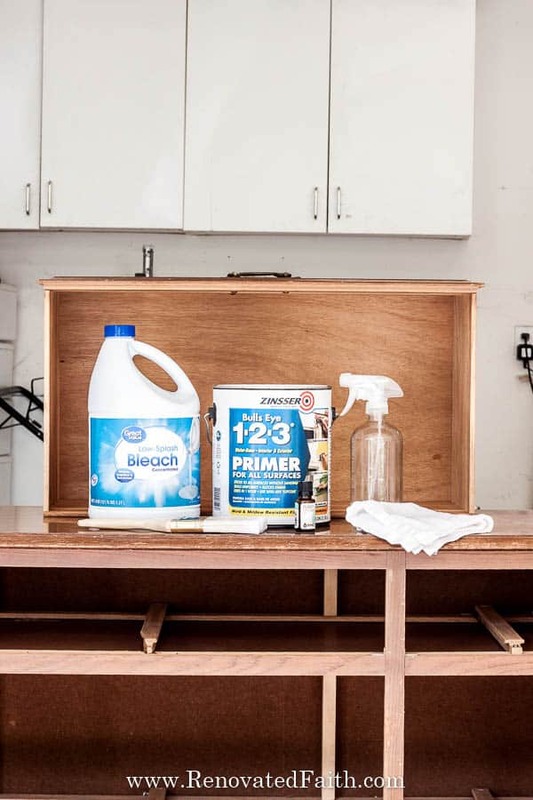 Mix a 1:10 ratio of bleach to water in a spray bottle and spray down your wood furniture liberally. If it is easier, you can wipe it down with a cloth but be sure to wear latex gloves. 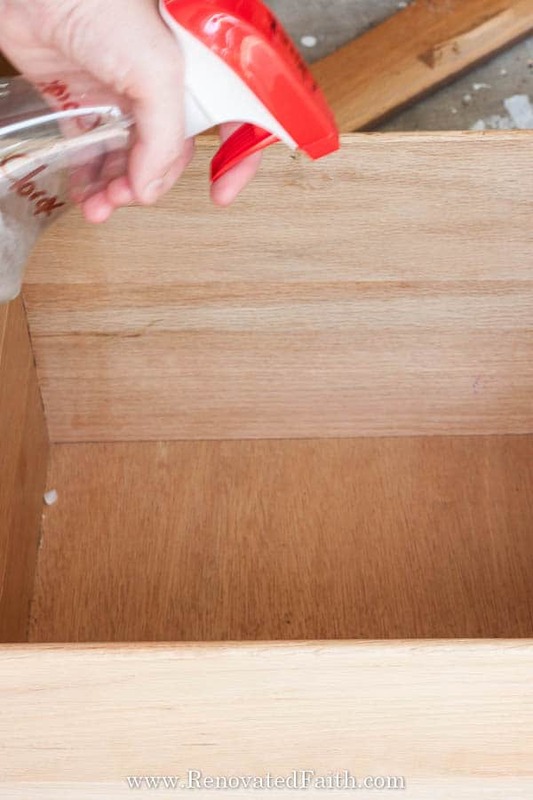 Wipe down every single surface that you will not paint including the insides or drawers, the backs of drawers, under the furniture piece, etc. Step 2: Let it Sit. Give the bleach solution 30 minutes to just sit and sanitize the surface of the furniture. *** Don’t use clorox wipes for this because they actually don’t contain any bleach. Wipe off the bleach solution and put a fan on it so it’s no longer damp. You want to remove any extra water so it doesn’t damage the wood. Mix about 15-20 drops of Rocky Mountain Oils Purify into 8 ounces of water. Shake it well. I like to use a glass spray bottle for essential oils but it’s not a must. Spray over the furniture piece just in the areas that will not be painted. Again, don’t forget inside of drawers, underneath the furniture piece, etc. The bleach solution was our ‘defense’, killing any existing mold and bacteria on the surface. The essential oils are our offense. In case we missed any places on the surface with the clorox solution, the essential oils make the surface uninhabitable for mold and bacteria to grow in the future! Why Rocky Mountains Purify blend? There are a lot of great essential oils out there. I’ve done some research into this company and they sell a reliable product that is inexpensive (I’m not getting paid to say this). This blend is part of their cleaning line and contains oil from Lemongrass, Tea Tree, Rosemary, Lavender, Myrtle, and Citronella which are very effective at getting the smell out of furniture. Not only can Purify help repel insects, it also works to clear the scent of smoke and eliminates other noxious odors. Plus ,it smells amazing!!! Check the current price of Purify blend here. Let the piece and it’s drawers dry out completely! Use a box fan for a couple days if needed. Do a sniff test, and if you still have a faint smell, spray the essential oil mixture again. 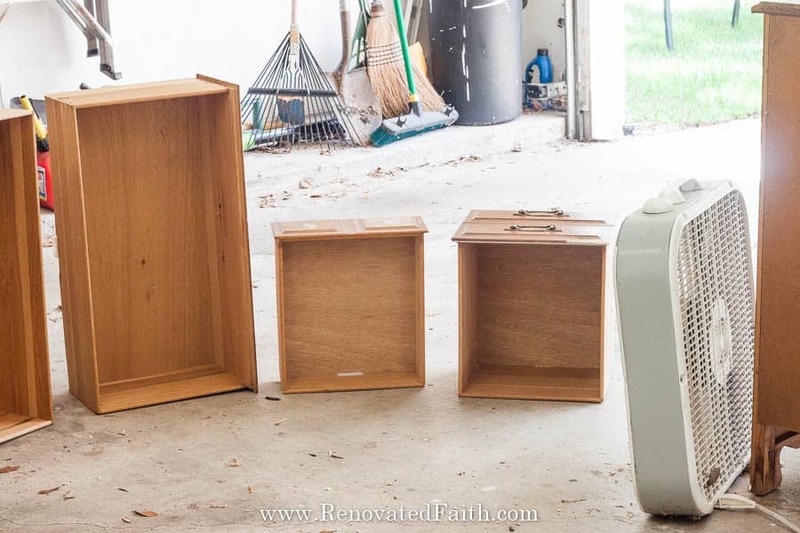 The process above still applies if you are wondering how to get smells out of wood drawers of an already-finished piece of furniture. Just go over it with the bleach mixture, let them sit and then spray them with the essential oil spray as described above. 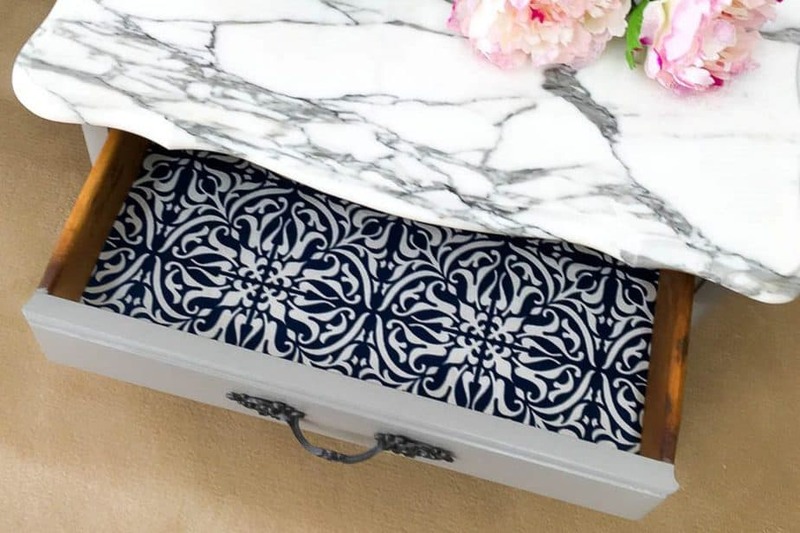 Click here to find out how to make Fabric Drawer Liners that are paper-like, stain-resistant and scented. Once your furniture is fully dry, you can prime the areas you want to paint. Primer is always a must before paint. 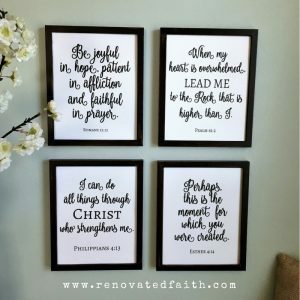 (I discuss this more in my posts Why I Don’t Use Chalk Paint and How to Sand Furniture in Less Than 5 Minutes). The primer will block out the odors under the painted surface. This primer in particular also has a mold and mildew resistant film. I have a personal rule that I don’t upcycle pieces that are upholstered unless they are in amazing shape. However, there are times where you need to de-stank a piece you couldn’t resist or well-loved piece of furniture in your home. First, you need to decide what parts of the couch could be replaced. I have replaced the cushions in three separate couches with fabulous results from The Foam Factory here. They have directions online to measure your couch cushions. You send in the measurements with your order and in a matter of a few days, they send you new cushions. I’ve been very pleased and have gotten a lot more life out of several furniture pieces. After ordering your cushions, you want to wash the cushion covers. You can do this by hand with detergent or I have actually put couch cushion covers in the washer on the gentle cycle. Do not put your couch cushion covers in the dryer. I put mine around the tops of my kitchen chairs and let them air out to dry. Wipe down the rest of the couch with water and detergent. After it has dried, spray it with the essential oil blend and water I used above. Shake it well before use. We have had kids and our puppy both pee on our couch before……hey, it happens! I went through about 15 different products before finding what works to completely get out any lingering smells. Don’t waste your time on enzymes! The problem with enzymes is they will not work if any other soap or detergent has been used previously. Your first option is something called Genesis 950. I’ve used it to get old cat urine (and lots of it) out of one of the rooms in our house when we moved in. Dilute it according to the directions and you can wipe it on a couch without it discoloring the fabric. I would be sure to test a tiny area first to be safe though. BE SURE TO FOLLOW THE DIRECTIONS. It has a strong chemical smell while you use it but it DOES work when other products will not. In spite of the smell, they say it is a natural product. The chemical smell is gone after it’s dried. Check reviews and the current price here. For a cheaper option, you can try Thornell’s K.O.E. K.O.E. (Kennel Odor Eliminator) concentrate is an essential oil based cleaner and is very effective at removing dog urine odors also. One container will make dozens of gallons of cleaner. This is also safe to use on a couch but test a small area first. You can even use it in your washer to wash the couch covers. Check the reviews and the current price here. 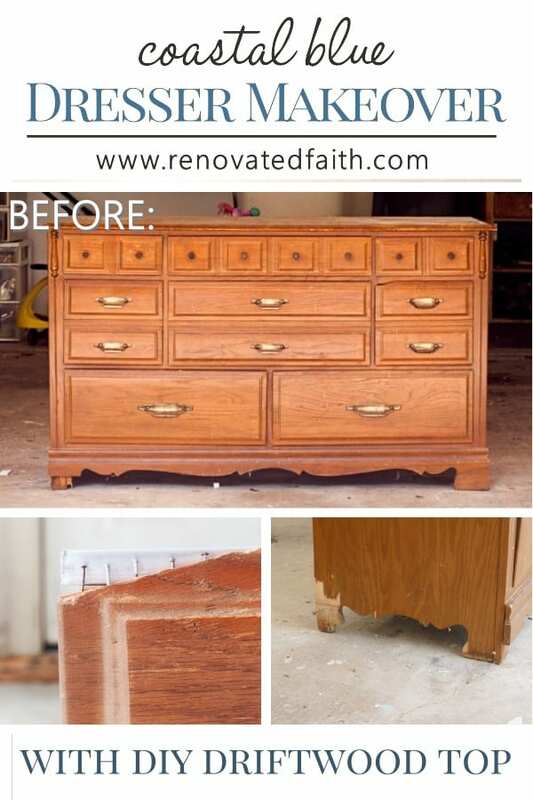 With these methods, you can avoid throwing out a well-loved piece of furniture. Feel free to ask me any questions in the comments section. 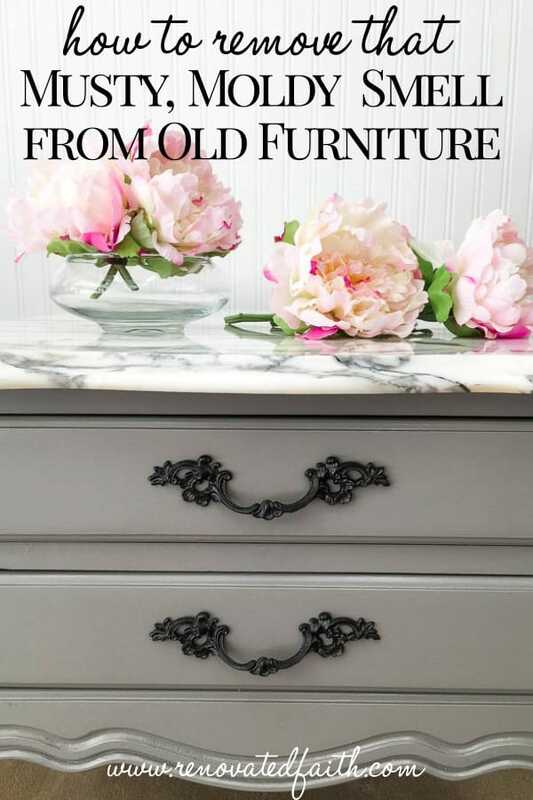 For more tips on refinishing old furniture check out my must-have painting tips. 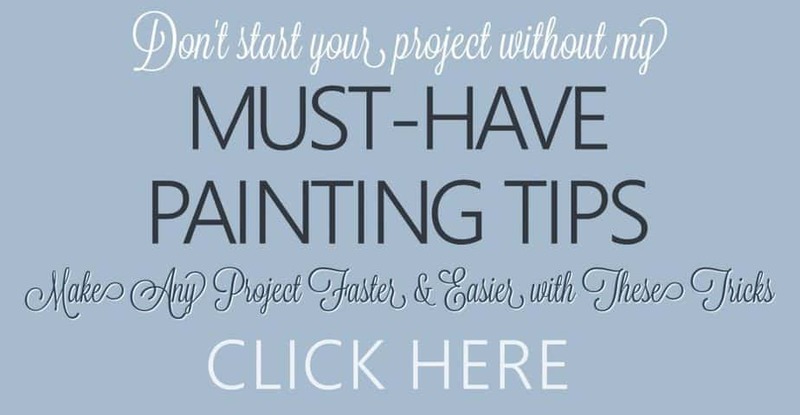 They will make your whole project go faster and smoother! 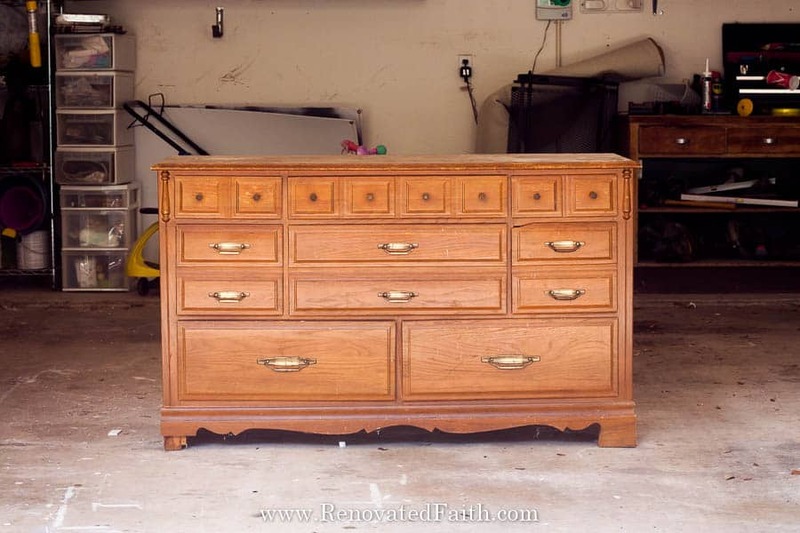 Want to see how the dresser turned out? Click here for my coastal blue dresser makeover! Good question. If it’s that faux suede you see a lot now, I think so but just test it on a small area. Thank you for reading!